Croatia is a very popular cruise destination and it has more than 2,000 years of history, from Istria to Dalmatia. Some of the historical heritage is safely locked up in museums but much of it is preserved as it was once built. Many of these archeological sites are like museums on open air that are accessible to all visitors. The best archeological sites are located in major coastal cities that are all reachable by gulet cruise. 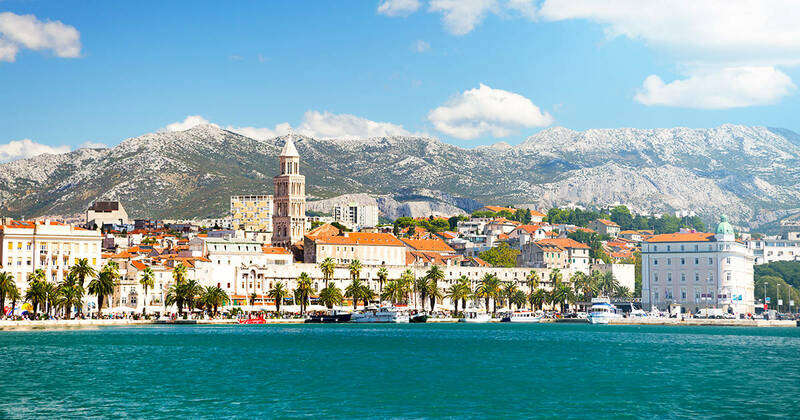 Split’s Roman palace, Trogir’s cathedral, and Dubrovnik’s walls are just one of the most recognizable sites, but there is much more. Learn more and discover the history behind the best archeological sites that can be on your cruise route. 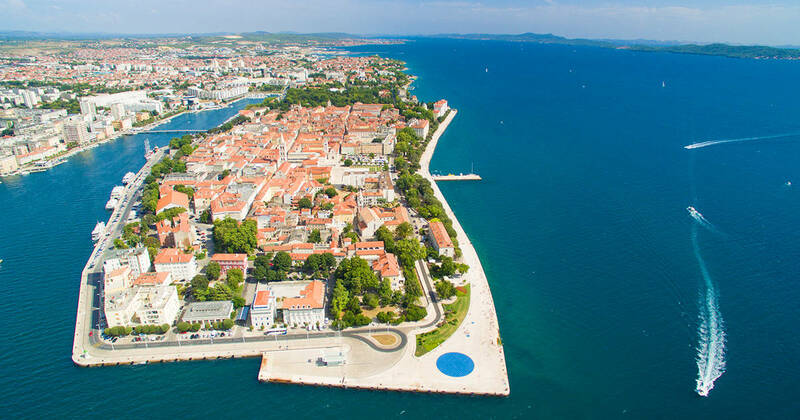 We are starting this list with northern Dalmatian town of Zadar. This town was a Roman colony for 500 years, due to this colonization many roman influences were visible in the city structure. During those ages, Romans built city walls, baths, an amphitheater, an aqueduct and streets in straight lines, that lead to the main square: the Forum. After more than 1000 years later when Venetians in the Middle Ages came to this territory, the existing Roman forum was one of the landmarks that were used to plan and construct Zadar’s present-day fortifications. The parts that remained today are; outline of the forum, the main square alongside the Church of St Donatus and a few columns and chunks of former temples. You can walk around this place while enjoying the beautiful sunset in the background, possibilities are endless. Trogir is a gorgeous small town near Split, and it is often being compared to Dubrovnik but without crowds. At the center of the old town a must visit is a tall cathedral. Its bell tower rises up as the highest peak of the town and it is dating back to the early 1200s. It took more than 400 years to build this cathedral. For this reason, you can see the mixture of styles on the bell tower starting from Romanesque and moving through various stages of Gothic styles. Besides bell tower, another interesting and impressive piece is placed on the entrance of the cathedral. The portal from 1240 is a true work of art created by famous Croatian sculptor master Radovan. Portal is very monumental and decorated with reliefs of the Annunciation. However, we must add that all parts of Trogir old town are beautifully preserved and you will feel like you traveled back in time. 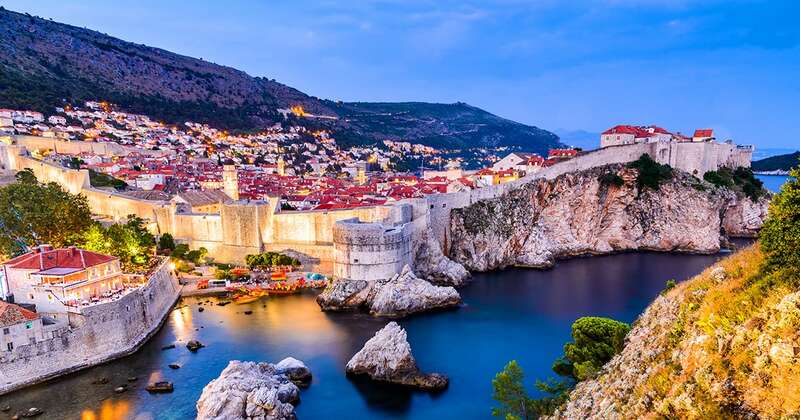 City Walls of Dubrovnik are one of the most famous and most visited archeological sites in Croatia. The monumental walls stand tall next to blues of sky and sea and sheltering within them the Jewel of the Adriatic by the name of Dubrovnik. For many years in the past Venetians ruled Dubrovnik and after liberation from the Venetians, the walls gained their elegant, rounded shape. Florentine architect Michelozzo was responsible for this important project. Back in 1667 Dubrovnik had a terrible earthquake but amazingly City Walls were preserved and remained intact. 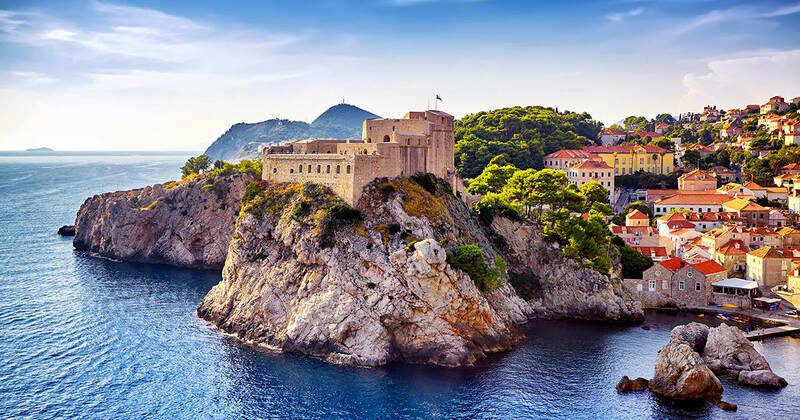 Today once you visit Dubrovnik, you can’t miss strolling around the walls and admire the beautiful views. The Minceta Tower is a very recognizable part of Dubrovnik and all the fans of Game of Thrones may recognize it since it was used as the House of Undying in Qarth. If you want you can take part in organized Game of Thrones tours that will lead you to all the places where scenes were filmed. Minceta tower was designed by Italian sculptor Michelozzo Michelozzi with 6m thick walls and gun ports. The finishing details were made by famous Croatian architect Juraj Dalmatinac who added the Gothic crown. 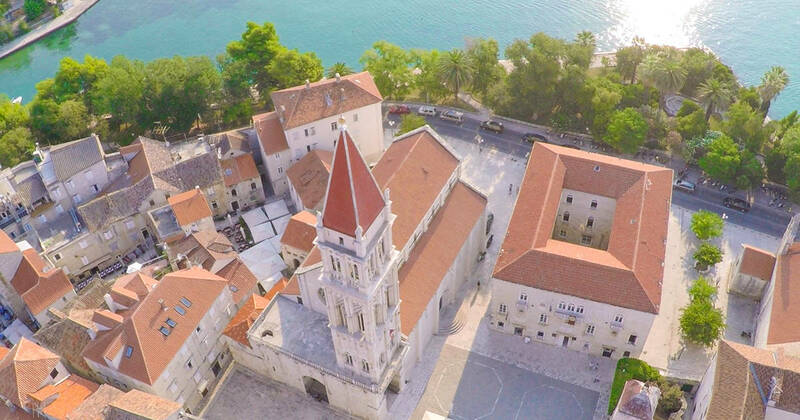 Today you can climb to the top for breathtaking views of the old town and the Adriatic Sea. But also there is a museum that we also recommend visiting if you are interested in history. Not so far away from the Split, the monumental Klis Fortress proudly stands on the top of the hill. If you are not a fan of tourist masses you will love to visit this place since it is not crowded by tourists. 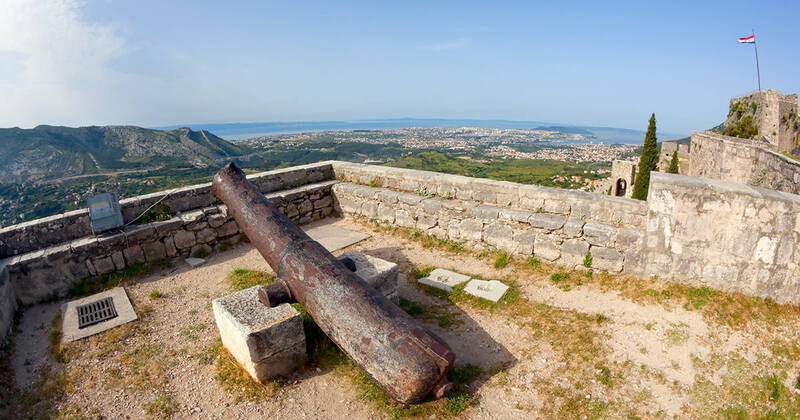 Klis fortress offers a breathtaking view across the whole countryside and her history dates back long into the past. The fortress was used to monitor important roads and it was It important in ancient times. Through the long history, the fortress was attacked by many different conquerors but it still remained today excellently preserved. Today it can be visited by tourists, or as part of the Game of Thrones tours since this place too was used for the filming of many scenes. The second largest town of Croatia, town Split holds one of the best preserved archeological sites in the world that is also under the protection of UNESCO. We are of course speaking about Diocletian’s Palace, that is one of the most frequented visited Croatia’s historic ruins. During the whole year every day, thousands walk through the old town of the Split, especially the main square called Peristil. Some of the stories that are not informed might not even know that they are passing by nearly intact Ancient Egyptian Sphinx from Luxor, or that they are walking around the old palace. What is super impressive is that Diocletian’s Palace continued to live to this day, and the city grew outside the walls of the palace. In the palace itself, you can find houses of residents, restaurateurs, shops, hotels, bar and much more since town lives to the fullest. Emperor Diocletian built the palace in the early 300s, as the place for his retirement. Most preserved parts you shouldn’t miss in the palace are the gates, the Temple of Jupiter and Diocletian’s mausoleum, later transformed into Split Cathedral. Ancient cities of Salona once were former capital of Roman Dalmatia. Back in the times, it is believed that this was once the fourth largest city in the empire. Salona today is open to visitors who can stroll around excavated remains. However much of Salona today remains untouched hidden beneath privately-owned fields, so who knows what more is hiding in the depths of the ground. Nevertheless, this is an amazing historical place with the remains of a 17,000-seater amphitheater, city walls and gates. Here you can also find one of the biggest collections of early-Christian basilicas. 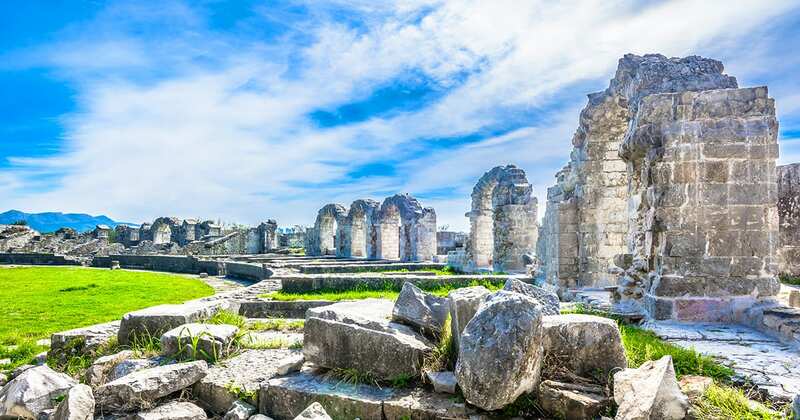 Salona ruins are extensive, testifying to the importance of this colony under Roman rule. This place is best to visit during a sunny day when you can have a picnic with your family and kids too. When cruising to island Hvar you must visit the town by the name Stari Grad. This town was colonized by Greeks from the island of Vis, known by the name Hora. The remains of a Greek tower have been found on Maslinovik hill, and Roman country villas are scattered across the town. The historic importance of this charming town was recognized and got protected by UNESCO. The town is filled with local vineyards, olive fields, and dry-stone walls and you might not even know about the great significance of this place. One stroll along this town will provide you with a strong sense of Mediterranean culture and its centuries-long heritage. 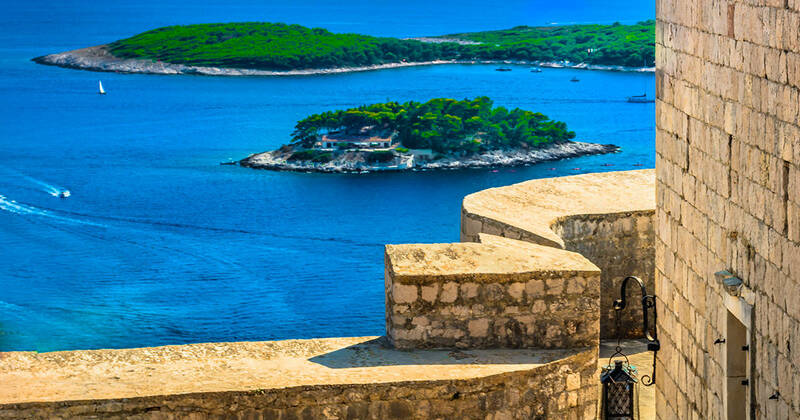 Interested in cruising fascinating Croatia coast? Contact us and start planning!